Mobile Blackjack is a classic game that is played worldwide on traditional land casinos as well as on online platforms. To make the experience this game more enhanced, this variant offers players the ability to place bets on five hands simultaneously. So you can win stand a chance to win multiple hands in one go. The benefit here is that you can identify the strongest and the weakest hand after a while. This makes it easy to strategise your future bets. The graphics of this game looks very neat and professional, so you will not miss your physical casinos anymore. The betting limits are set between £1 and £2500 per hand, making this game ideal for both high and low rollers. This amazing classic game with multiple hands was developed by Realistic gaming. As the name suggests, they are popular for providing a realistic experience of all casino games for the online players. They also come with huge experience of several years and skills in various game technologies. 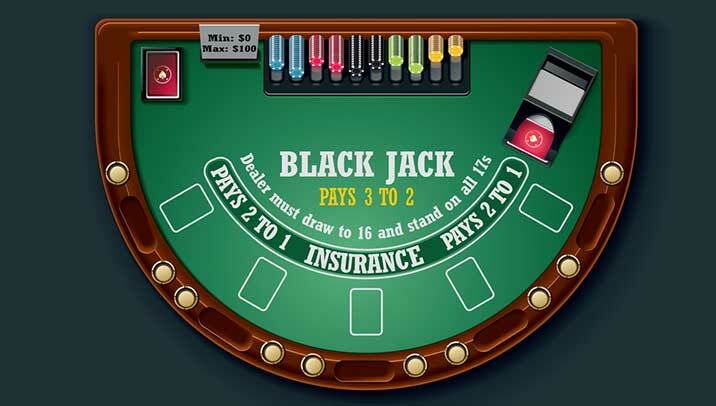 The rules of this Blackjack game is to score 21 points without exceeding it. You need to beat the dealer’s hand so better get as close as possible to 21 points. The dealer must stand on all 17s, so this gives you an advantage as you can draw cards even after 17. If you exceed 21, you will lose that hand and if the dealer exceeds, you win. Another good news for you here is, if the dealer gets a BUST, you win all the hands where you have placed your bets. You can choose to play one or any number of hands up to five. But it is recommended that you play multiple hands to make more profits. Double Down: This is an option given to you when the total value of your first two cards on that hand is more than 8. In such case, you can double your bets but you will receive just one more card to decide your fate. This is also your chance to win huge benefits. Split Hands: Every time your first two cards have identical values, you can split your hands into two. So along with five hands, you get to play an additional hand with this feature of mobile Blackjack. Payouts: The payout for a straight win is one to one, blackjack win gives you three to two while insurance pays two to one. With plenty of options to win from, this game is simply the best version to play online. The return to the player here is 99.50% which is very impressive.